During July to September 2016, domestic acetone spot prices rose on the back of low inventories at Jiangyin and domestic plant outages. Acetone prices climbed about 20% from 1 July to 28 July. And then, the price moved upwards within small range. The lowest price emerged at the beginning of July, when the ex-tank price in east China was yuam (CNY) 4,500/tone. The peak price in east China (ex-tank) was CNY5,840/tonne on 23 September, according to ICIS China data. In July, domestic acetone spot prices rose because of some unscheduled shutdowns of domestic acetone/phenol plants and import cargoes were mainly held by some traders. However, prices fell from the end of July to the beginning of August for about one week, because some traders sold actively in a bid to lock in profits due to the expectation of concentrated import arrivals during mid-to-late August, which dragged down the negotiation prices. According to ICIS China data, after slight falls, acetone spot prices rose again on 4 August. The inventories at Jiangyin port fell a new low, together with unexpected shutdowns of some units, boosting the market sentiment to some extent again. Domestic acetone spot prices kept rising during August and September on tight supply. Many China-based phenol/acetone plants were scheduled to be offline in August and September, which reduced domestic supply. Additionally, feedstock benzene and propylene prices moved up to support acetone prices. We offer the following regional Acetone coverage to keep you informed of factors and developments affecting prices in the China Acetone marketplace. 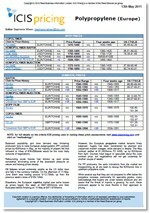 ICIS publishes weekly pricing information for China’s volatile acetone markets. The report gives you access to the latest import CFR China main ports and domestic ex-tank prices for a more reflective view of the market. The ICIS Supply and Demand Database provides a single, highly searchable source of detailed historical data as far back as 1978 and forecast data up until 2040 for acetone in China. 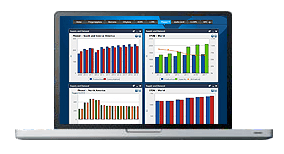 The service combines fully reconciled supply/demand, trade, capacity and ownership data to give you multiple views of the market from a global, regional or country-specific perspective.